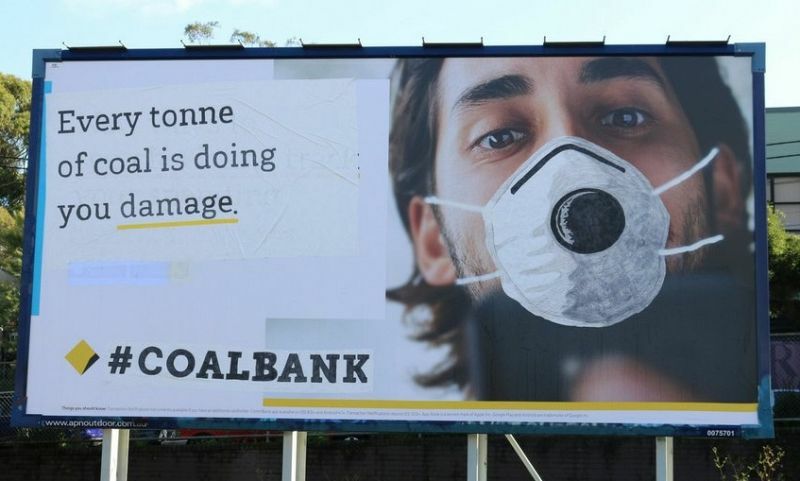 In the same way people a century ago wanted cars instead of horses, people today don’t want coal — they want renewables, writes Simon Black. But you wouldn’t give a billion dollars to that company. You wouldn’t invest your future in a company making a product from the age of the horse-and-cart in a modern world. Replace "buggy whips” with “coal”, and “company” with “country” and you’ve got the bizarre fantasy land of the energy debate in Australia today. That quote wasn’t spoken by a real person. It’s a line by “Larry the Liquidator” from the '90s movie Other People’s Money, but it fits perfectly in the make-believe world you hear our politicians selling to the public every day — Australia makes the best damn coal you ever saw and all we have to do is free up more of it and everything will be grand. But like those buggy whips manufacturers from 100 years ago, we have fewer and fewer customers. Last week, a senior minister in Japan – Australia’s largest importer of coal – admitted plans to construct more power plants would fly in the face of commitments under the Paris agreement. “If all those plants are built, it will become a major obstacle for Japan's 2030 target,” Environment Minister Koichi Yamamoto said. "It doesn't matter if they are highly efficient or not, power stations using coal are seen outdated as EU and other countries are moving away from them." Not only that, Yamamoto said Japan was generally opposed to coal and recognised the majority of the rest of the world are too, stating bluntly “we are against coal-fired power plants”. In the same way people at the turn of the 20th Century wanted automobiles instead of horse drawn carts and buggy whips, people today don’t want coal — they want Elon Musk and Tesla. Japan’s government had planned to build 45 new plants across the country, with work to be started on three sites at Miyagi, Okayama and Aichi in just this year alone. If the plans continue, eventually more than 18,431 megawatts will be unleashed across the Land of the Rising Sun — more than 11 times that generated by Australia’s Hazelwood station, in an area only 50 per cent larger than Victoria. But Japan’s politicians have shown they know they can’t forge ahead with these plans, with two of the plants proposed for 2017 already being cancelled. This is bad news for those who think Australia’s future is in making “the best damn buggy whip you’ve ever seen” by pushing the line that, as PM Turnbull has said, coal that is “by and large, cleaner than the coal in many other countries”. The news the largest customer of Australia’s coal is now indicating they think the energy source is unacceptable is a screaming warning we must change course or suffer the same consequences those buggy whip makers did more than 100 years ago. After Japan, the second largest importer of coal used for energy is South Korea. Last month, new president, Moon Jae-in, promised the country would “build a nuclear-free, coal-free nation” based on clean and renewable energy. “There will be many difficulties,” Jae-in admitted. “But it is a road we must take." In May this year, another of our major customers of thermal coal,Taiwan, forecast coal reliance would decrease by 33 per cent as part of an updated eight-year green energy development plan. India, often touted as the next big importer of our coal, has repeatedly promised to completely cease coal imports and is heavily investing in clean power and renewables. Indian power Minister, Piyush Goyal recently said the country would only import as much coal as they were forced to and proudly tweets about how the nation is emerging as a leader in the fight against climate change. They don’t want our buggy whips any more. But the buggy whip analogy isn’t perfect. Horse and cart transport doesn’t also make people sick, it doesn’t kill tens of thousands each year, it doesn’t create catastrophic global warming. It is hypocritical for Australia to continue to pump up the coal industry, while at the same time our PM tells media he is “disappointed” by Donald Trump’s withdrawal from the Paris climate accords and promising to remained “committed” to tackling climate change. That “commitment” means for Australia being the largest exporter of coal in the world. An accolade that sees us produce nearly twice as much carbon dioxide through the coal we export than we create through our emissions. Worse than that, the Government is pushing to open up new coal mining areas in the Galilee Basin which, if allowed, would produce more emissions than the rest of the entire country combined, to push for oil drilling in the pristine region off the Great Australian Bight and to go door-to-door spruiking a mine they want to prop up with a taxpayer-funded loan to fossil fuel mega-corporations. In Queensland, the water temperature around the Great Barrier Reef was so hot due to global warming that thousands of kilometres of coral bleached and then died. Two years running the temperatures rose and it is now estimated as much as half of the Reef could now be dead. Australia has been warned by UNESCO that unless action is taken to combat global warming the Reef will burn away. Still, our politicians spruik coal as the future, when it is clearly the past. In a world where nations are turning away from fossil fuels, we are in danger of being left alone and isolated. It’s unethical, impractical, and any pretence at justification we once had is rotting away. At one time, there must've been dozens of companies making buggy whips. You can bet the last company around was the one that made the best goddamn buggy whip you ever saw. Be independent. Subscribe to IA.